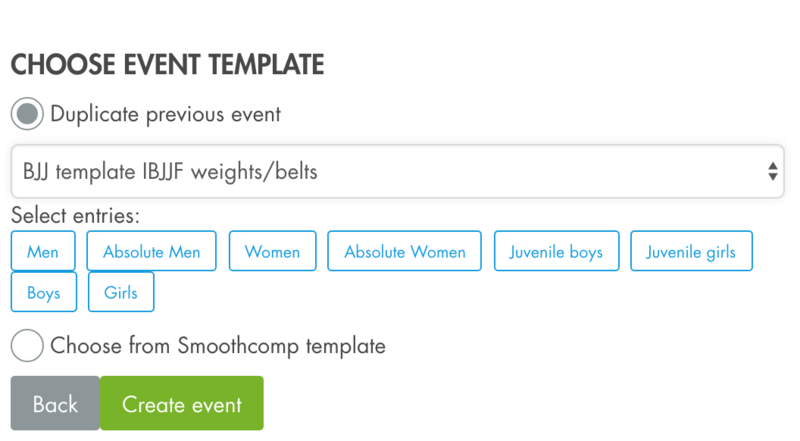 Smoothcomps self-service platform is very flexible and gives you an endless variation of weights/classes/categories to combine to suit any event in any sport. Within and between these classes you can assign rules, for instance that the user needs to be 18 to fight in the adult category. But to save time and to get you going we have prepared standardized templates for different sports. Using the template for example for BJJ you can get going directly and just cancel out any categories you dont want to run. These are the three simple steps to set up your tournament. You will be up and running in 15 seconds! We have several templates to choose from and if you cant find the right one for you we can help you for a small fee. 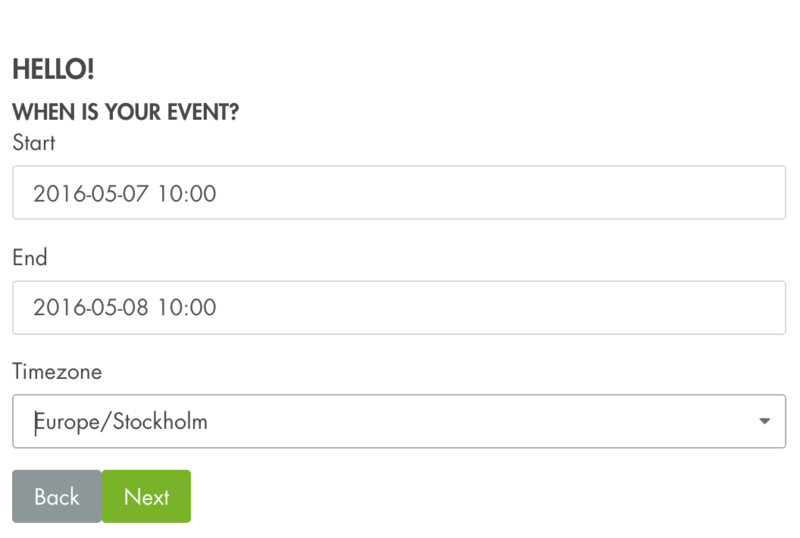 That template will then be yours and you can use it to copy your next event from it.